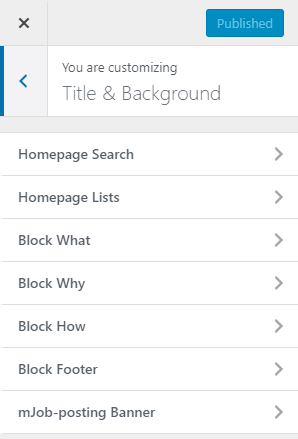 This section allows you to customize your site title, tagline, site logo, and site icon. 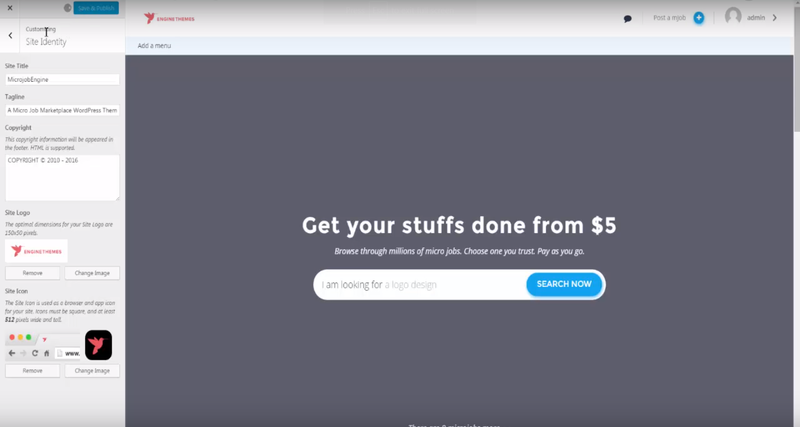 In this section, you can change the default background images in main pages such as Home Search background, Before-footer background, and mJob listing banner. 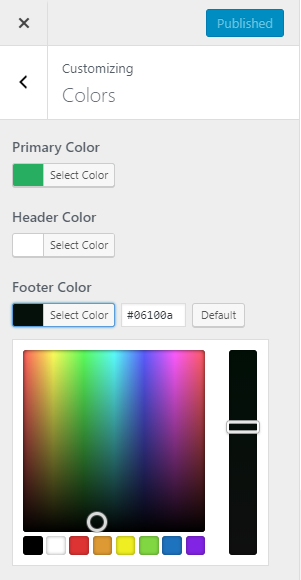 You can change your site’s color schemes in the Colors section. It allows you to change the primary color, header color, and footer color. 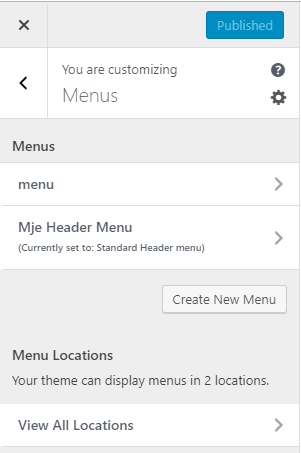 This enables you customize your header, footer, main categories, menu, and primary. Currently, the Widget is not available for editing in Customize bar. If you want to customize the widgets, please go to Appearance > Widget in the back-end. 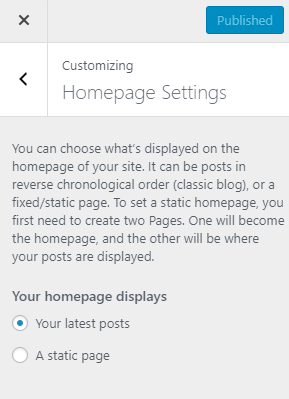 You can select your front-page displayed by either your latest posts or a static page in this section.